Located 22 miles south southwest of Los Angeles is Santa Catalina Island, the southernmost island of the Channel Islands of California. Catalina Island long known for as a place to relax and get away from it all for celebrity escapes as well as big festivals, breathtaking scenery and friendly community that more than one million people visit each year. 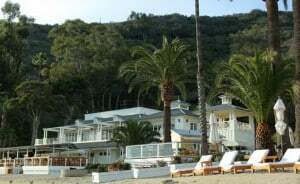 There you will find Descanso Beach Club owned by Santa Catalina Island Company, Catalina Island’s longest-running operator and premier resort-service provider. Situated on a beautiful cove with pristine waters and beach, it is one of the last private beaches in California with public access. This is one of the hottest places to be on the island for a luxury get-a-way, experience the Island’s culinary scene, party with friends or hold a beautiful memorable wedding. Descanso recently went through a complete remodel and transformed the Beach Club with upgraded facilities and new luxury amenities. Don’t let the breathtaking scenery of Catalina Island fool you. It’s a tough place for buildings, where marine environment conditions are severe and most products have shortened lifespans. Custom-Bilt Metals systems overcame these conditions by providing a system with an aluminum substrate and special paint system. The system used was SL-1750 and 7/8” Corrugated roof panels in .032 aluminum, with clear coated zinc gray PVDF cool roof finish. 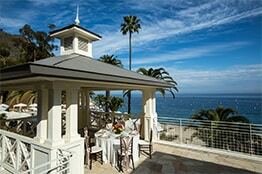 This allowed Santa Catalina Island Company to achieve a 20 year warranty.